Aikido, as Ueshiba conceived it in his mature years, is not primarily a system of combat, but rather a means of self-cultivation and improvement. Aikido has no tournaments, competitions, contests, or “sparring.” Instead, all aikido techniques are learned cooperatively at a pace commensurate with the abilities of each trainee. According to the founder, the goal of aikido is not the defeat of others, but the defeat of the negative characteristics which inhabit one’s own mind and inhibit its functioning. 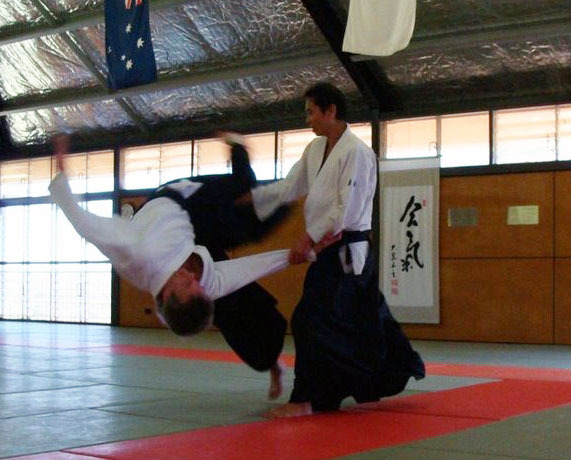 At the same time, the potential of aikido as a means of self-defence should not be ignored. One reason for the prohibition of competition in aikido is that many aikido techniques would have to be excluded because of their potential to cause serious injury. By training cooperatively, even potentially dangerous techniques can be practiced without substantial risk.